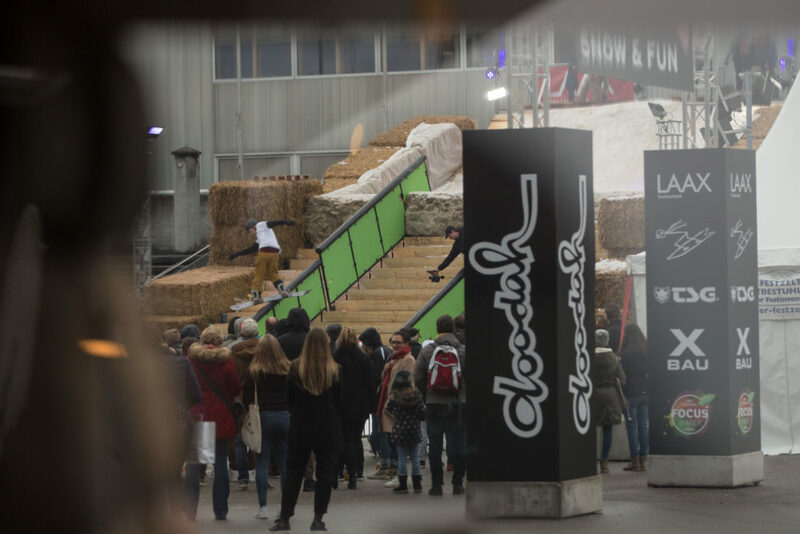 Surfing St. Gallen Laax's infamous crew actually organized a contest. Olma: this venue is associated with hangovers for many people in the region, due to the famous fair in fall. 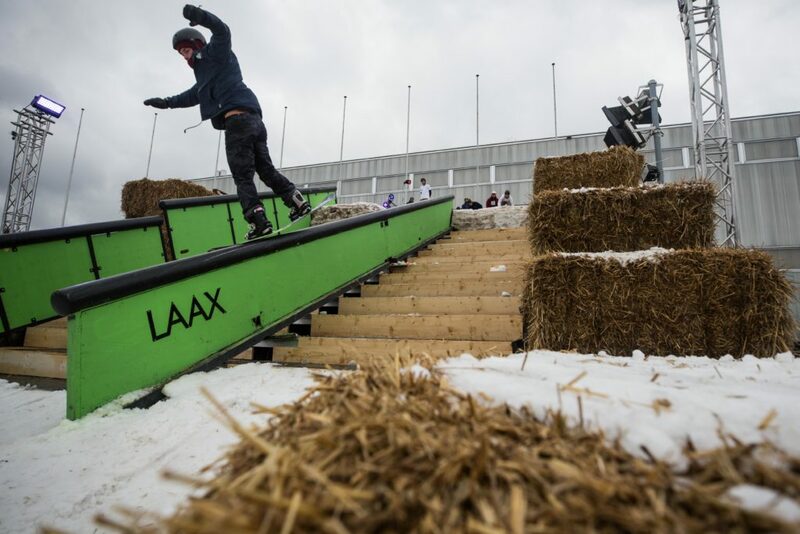 But thanks to the Laax Surf Club, the Olma venue can be associated with a great rail contest from now on. 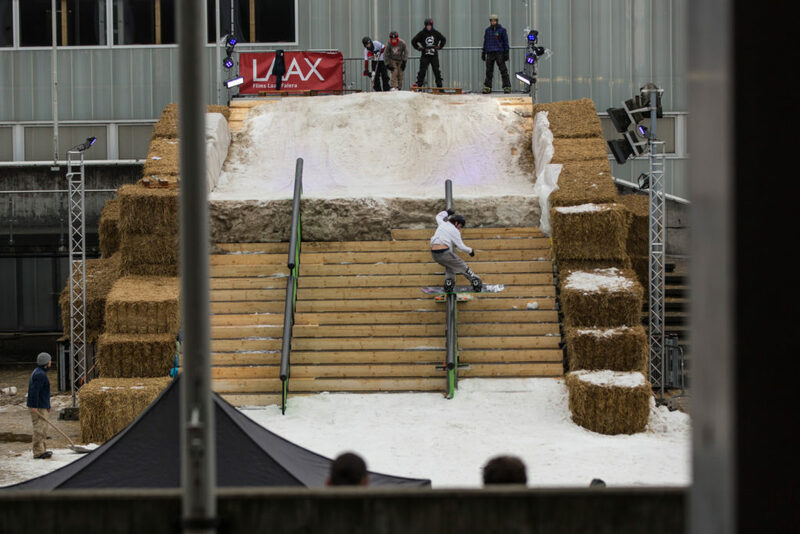 Mojo, Linus and Yannick, the members of the infamous Laax Surf Club (LSC), had the chance to organize a rail jam. 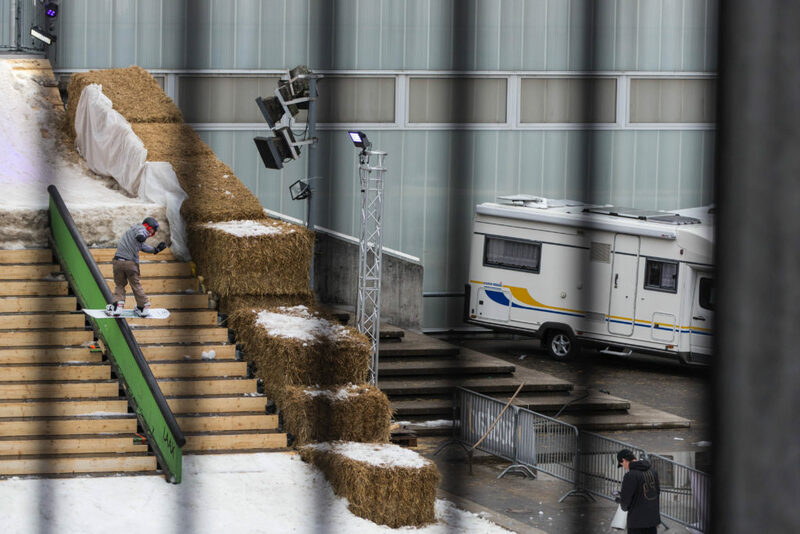 The LSC rail battle came to life as part of the “Grenzenlos” holiday fair in St. Gallen. 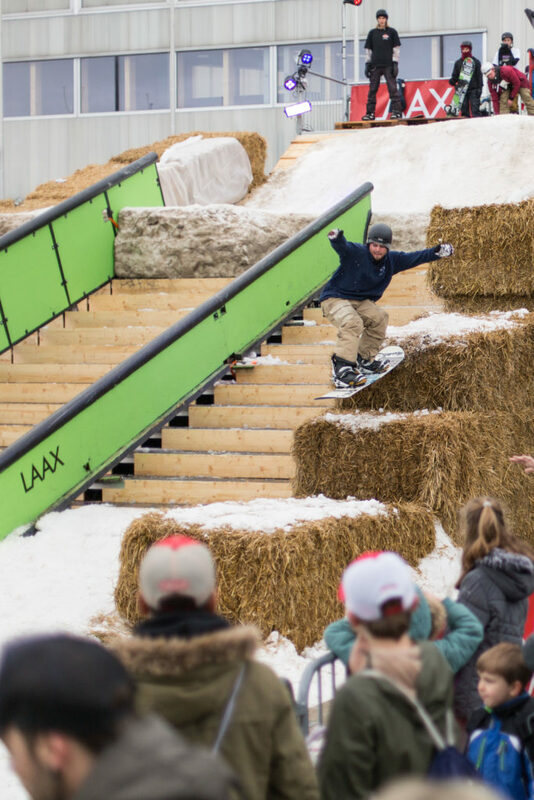 After a show event on Friday, qualification and best trick contests took place on Saturday and semi-finals / finals were held on Sunday. The top five riders from Saturday’s qualification competed with the invited riders for eight spots in Sunday’s final. The majority of the riders were either from the eastern part of Switzerland, or the Netherlands. Kevin Trammer from Belgium also showed up and showed us how it’s done. Stéphanie Kauert was the only girl. Big props to her! A down rail and a waterfall rail were the options for the riders. 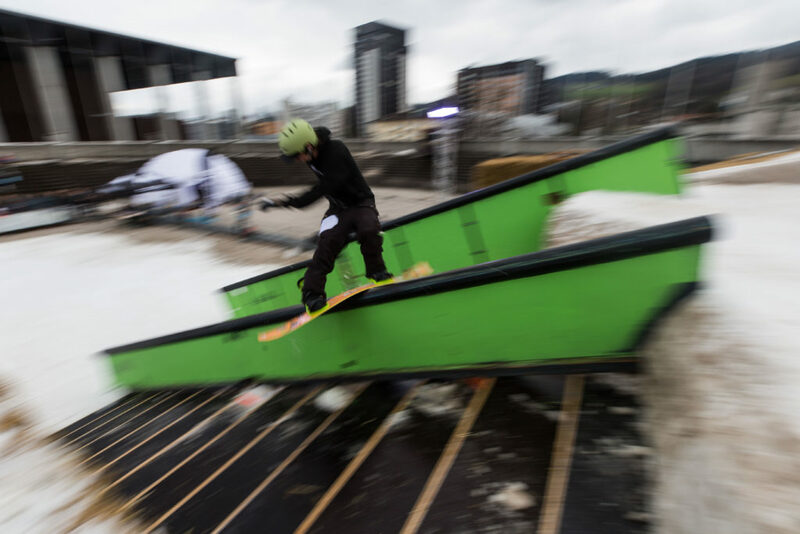 And those weren’t just any rails, they were two of the bright green original rails from Laax! Since we knew that contributing photographer Kuno Egli had lived in St. Gallen for some time, we sent him back to town to shot some pictures. … and shows everyone how it’s done. If you haven’t already: check out his well-deserved last part in Mindset Production’s latest offering. 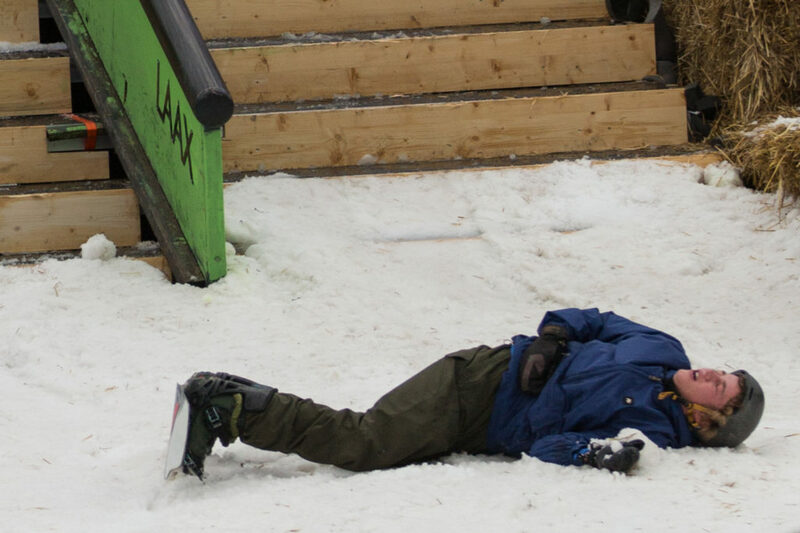 Daily Chaos mastermind Jacco Bos testing the flex of his board. That tall building in the background is a hospital. Luckily no one need it. 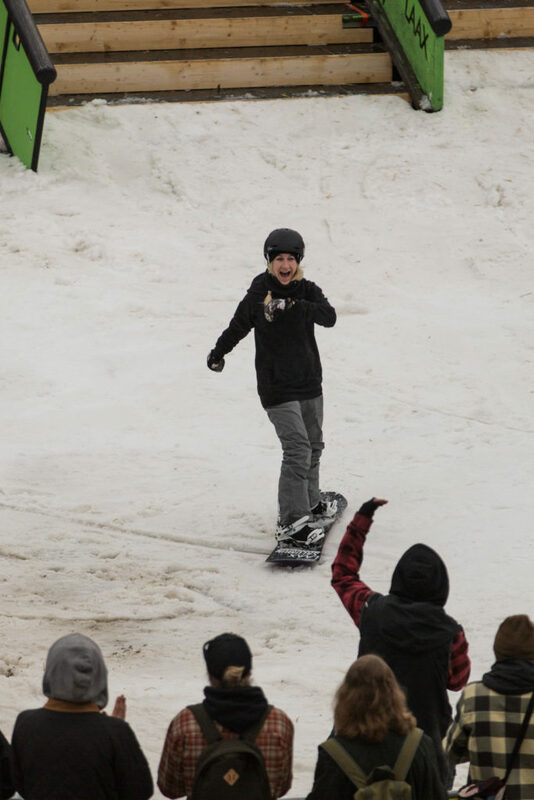 14 year old Moreno Baumann was highly motivated and excited to ride. After every break he was the first rider on the course and always had a smile on his face. With moves like this front flip to the stairs, he became a crowd favorite. Moreno got 9th in semis (a final of 8 was planned), but due to his passion was given a wild card to ride in the finals as well. 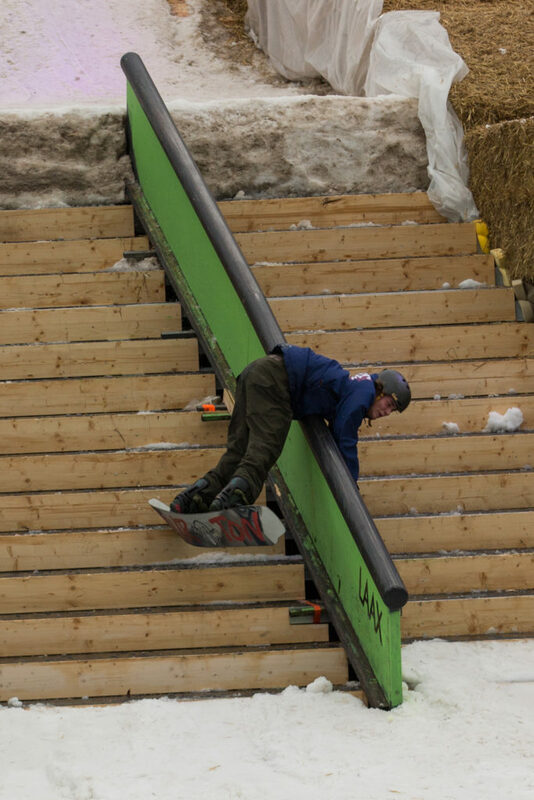 Another regional young gun: Timo Strolz showing good style on the down rail. If you ever watched a Mindset Productions movie, you know that these three gentlemen right here know very well what they are judging. From left to right: Florian Arnold, Dario Burch, Joel Staub. Joel scratching his neck and probably wondering when he will post his next Büsi report. Lou Stoub escape(d) the rail path and found this creative line over the hay bales. … and finally got rewarded just before the semis ended. The host of the event. 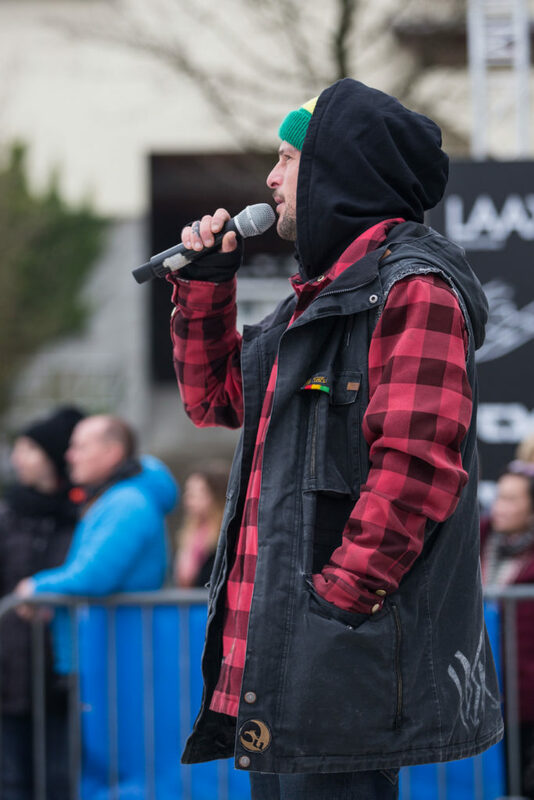 He might did not speak the local dialect, but had good trick knowledge and always hyped the crowd up for the riders. 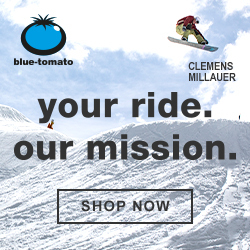 Henrik Meyn – down but not out. Mandatory lunch break. 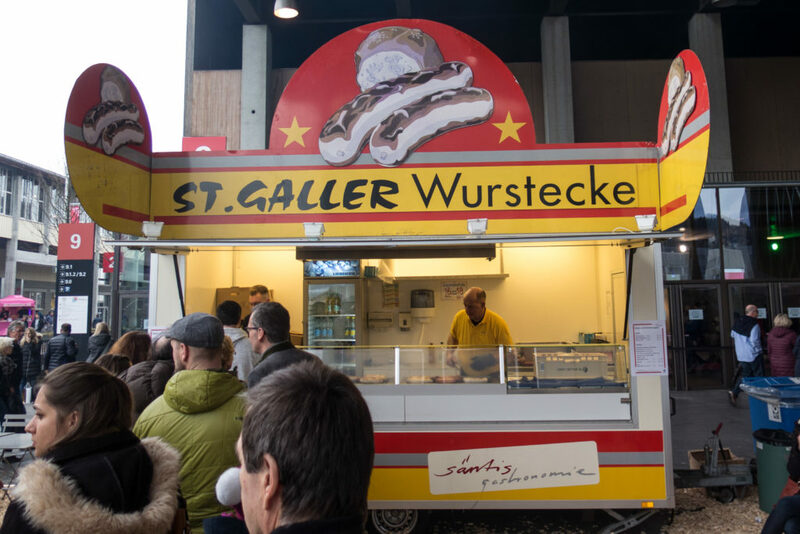 Don’t even think about ordering mustard for that delicious Olma sausage! Yannick Messmer’s style is so good, he should be put behind bars. 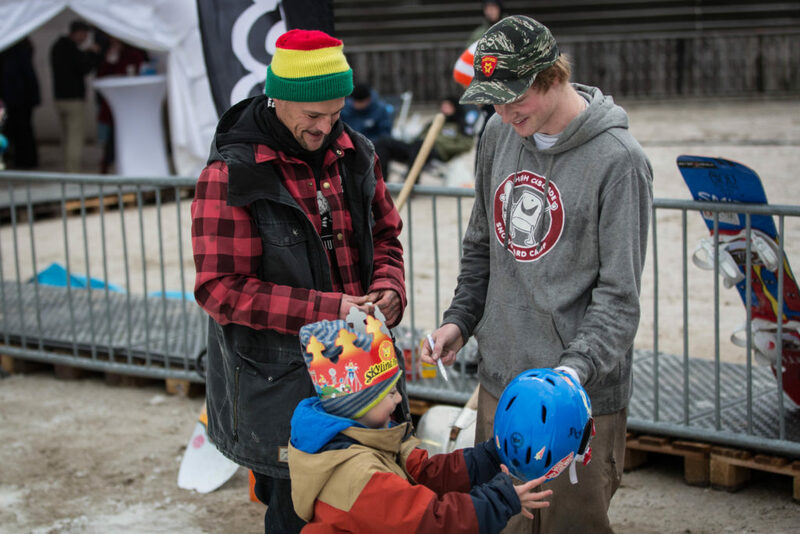 Hailing from the neighbouring Appenzell, Yannick was a favorite with the locals and of course had to fulfill his autograph duties. 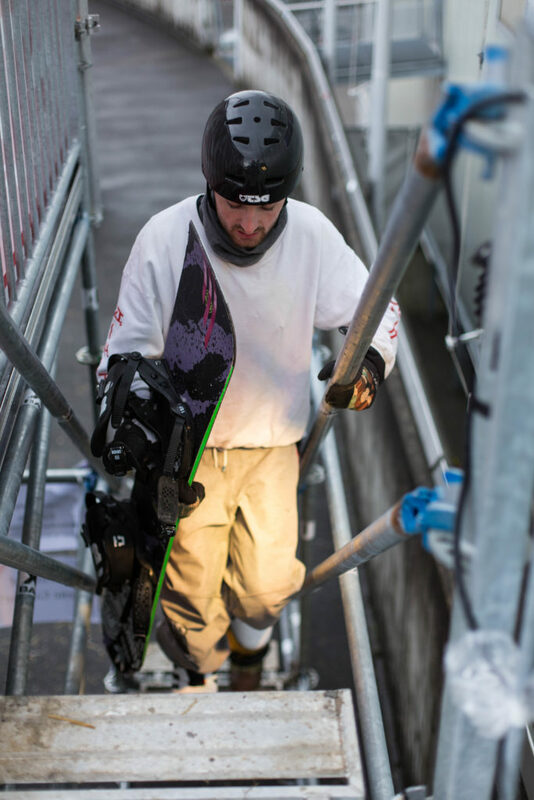 Third place finisher Dylan Norder showed good style all day long and got rewarded with CHF 250. 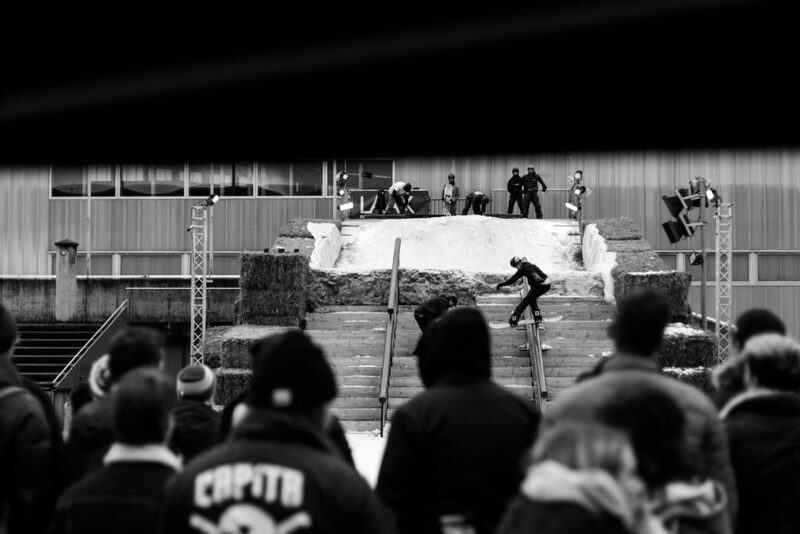 Kasper de Zoete showed a good mix of technical and style tricks. CHF 500 was his reward. Belgian rail wizard Kevin Trammer was the undisputed (from what we heard from the experts in the crowd) winner of the contest. 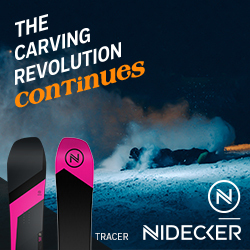 This nosepress is looking pretty good. Did we mention that it is switch? 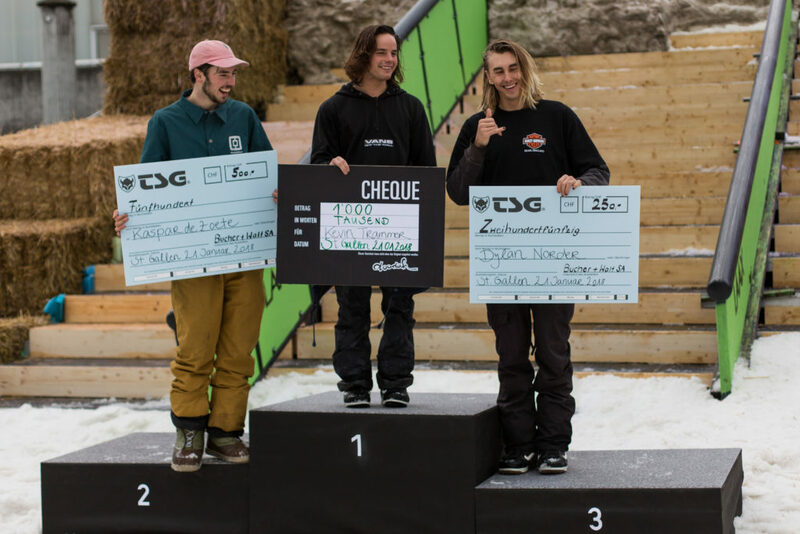 The podium: 1) Kevin Trammer, 2) Kasper de Zoete, 3) Dylan Norder.